McKesson Isolation and Fluid-Resistant Gowns are designed for comfort and flexibility of movement. They are made of a non-woven, durable material and feature elastic cuffs. 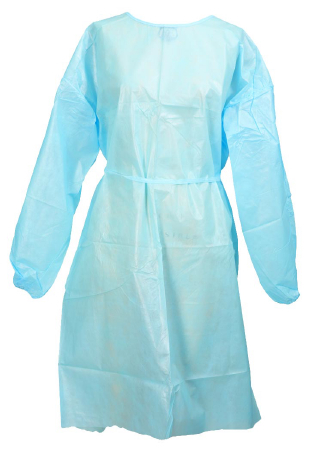 These disposable gowns are non-sterile and are not made with natural rubber latex. Non-sterile, disposable. 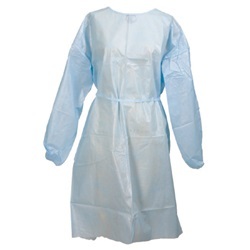 McKesson Protective Procedure Gown is made from polyethylene-coated, spunbounded polypropylene. 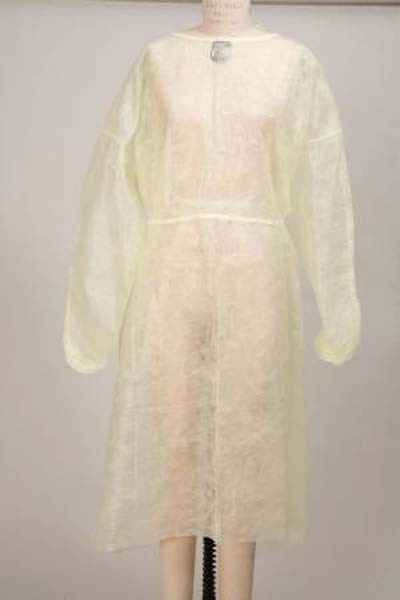 Gown is yellow, long sleeves with elastic cuffs that fit snugly under gloves, unisex, and x-large adult size. Full back with neck and waist ties that offer individual size adjustment. Sold 10 per bag. Medi-Pak Performance Fluid-Resistant Gown is made from polyethylene-coated, spunbounded polypropylene. Gown is blue, long sleeves with elastic cuffs that fit snugly under gloves, unisex, and adult unisize. Open back with neck and waist ties that offer individual size adjustment. Sold 50 per box. Medi-Pak Performance Fluid-Resistant Gown is made from polyethylene-coated, spunbounded polypropylene. Gown is white, long sleeves with elastic cuffs that fit snugly under gloves, unisex, and adult unisize. Full back with neck and waist ties that offer individual size adjustment. Sold 10 per box. McKesson Fluid-Resistant Gown is made from polypropylene. 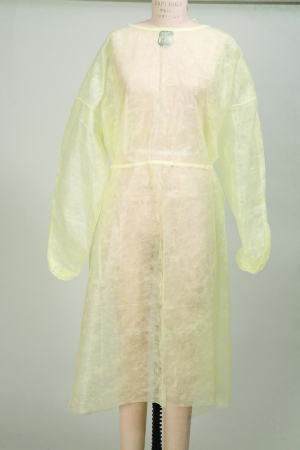 Gown is yellow, long sleeves with elastic cuffs that fit snugly under gloves, unisex, and adult unisize. Full back with neck and waist ties that offer individual size adjustment. Sold 50 per box.